The Volcano Lavabox M DNA75 75W Box Mod is the flagship compact device from Volcano to utilize Evolv's DNA 75 chipset, featuring support customization through the companion software Escribe and capable of throttling up to 75W with comprehensive temperature control. 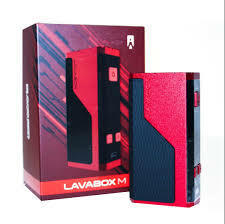 The Lavabox M retains the overall ergonomic fit and feel of the Lavabox platform, with an overall 20% smaller form factor than the highly appraised Lavabox DNA200. 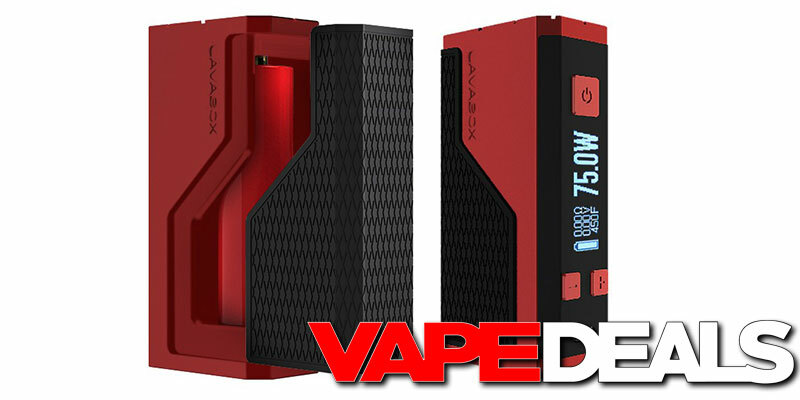 Designed in America, the Lavabox M features a rubberized battery door with convenient magnetized mechanism, allowing for added convenient when changing the single 18650 battery (sold separately). While compact in overall size, the Volcano Lavabox M integrates the evolutionary DNA75 chipset by Evolv which features a maximal output of 75W with an incredible 85% efficiency rating. Coupled with EScribe software, the Lavabox DNA75 implements a vaulted technology with sophisticated customization ranging from full temperature control to personalized screen options. With a combination of cutting edge Evolv internal technology and Vocano's creative designs, the Volcano Lavabox M DNA75 is a perfect showcase piece.